The Smooth CE 9.0 elliptical is a mid to high range trainer that offers a sturdy design much like traditional trainers found in your local health club. The Smooth CE 9.0 elliptical has some really nice features that make it a great option if you’re looking for a traditional elliptical to use at home. It offers a fluid motion that has an adjustable stride to suit from 19” to 23” to get the perfect length for your height and to vary the intensity of the training. It also boasts a large range of intensity settings to allow you to adjust the level in accordance with your needs, goals or current fitness level. The blue back-lit LCD monitor with mySmooth fitness trainer installed allows you to have an online personal trainer at the touch of a button with added Bluetooth technology to allow you to train as if in any part of the world. UPDATE: As of 2016, the CE 9.0 trainer is no longer being sold. You can check out all of the current models on sale here. 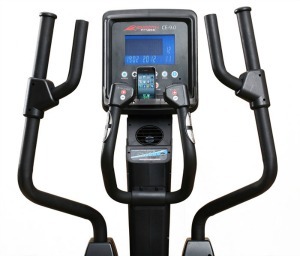 The reviewers of the Smooth CE 9.0 elliptical are very positive about the sturdiness and firmness of this particular model and it is close to commercial grade because it is so similar to the ones found in gyms and health clubs. It has a good amount of programs which many reviewers are pleased about because it allows a certain amount of variance in their training. Another good feature that appears in the reviews tends to be about the Bluetooth connectivity allowing users to actually visualize they are running anywhere in the world which would certainly entice many people. However, on the negative side it does have a particularly large and heavy footprint so you would need a lot of room to house this unit and no easy way to move it by the looks of it. 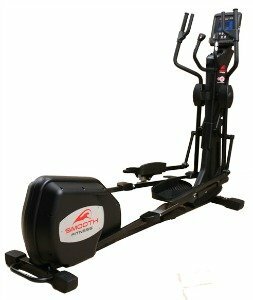 As a commercial grade trainer the Smooth CE 9.0 is a great choice for your gym or health club due to its sturdy nature and extremely long warranty. If you have the room to set it up at home then it would also be a great addition to help you lose weight but it’s probably not our first choice as a home machine, although the warranty is fantastic so it may just be worth the investment!